As the end of 2017 draws near, you may be wondering what you can do to ensure that your child has a bright and healthy smile in 2018. Whether your child has a clean dental bill of health or has struggled with cavities and poor oral hygiene, we have found that there are a few pediatric dental health tips that are great for everyone to practice. Today, we’ll discuss a few of these tips and how you can help provide your child with a healthy, happy smile going into the New Year. 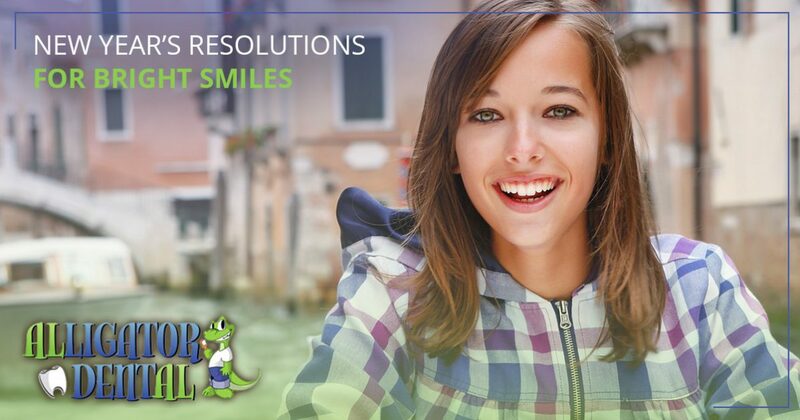 If you’re looking for an affordable dentist in Seguin for your children, Alligator Dental is here to help! We offer routine cleanings, restorative care, and emergency dental care in a fun and welcoming environment that you and your kids are sure to love. Call our Sequin office at 830-372-3725 today to schedule an appointment for your child! If you’re wondering what steps you can take to help your child have his or her best smile in the upcoming year, our dentists have a few helpful tips. Assisting your child in accomplishing the five tasks below will pave the way to a happy and healthy New Year! Although it can be a challenge at times, encouraging your child to brush his or her teeth thoroughly and regularly is one of the most fundamental ways to keep troublesome dental concerns at bay. The American Dental Association (ADA) recommends that we brush our teeth two times a day with a soft-bristled toothbrush to remove decay-causing plaque and bacteria. In addition to brushing, flossing is also an essential task to teach and encourage your child to complete. By brushing and flossing his or her teeth in the morning and night, your child will be well on his or her way to healthy teeth and gums. Who doesn’t love a delicious snack to tide them over until the next meal? The holidays are notorious for sugary sweets, and once the New Year arrives, it may be beneficial to make the snack choices in your home more balanced to promote more healthy snacks choices for your children. For parents, this may involve some strategic planning and shopping. Many of the snacks that claim to be healthy, such as some yogurts and granola bars, may actually have high amounts of sugar in them, increasing the risk of tooth decay. 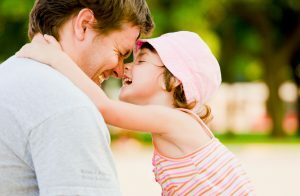 Choosing foods such as carrots, almonds, cheese, and apples are not only healthy, they are good for your child’s teeth. Whether your child participates in some kind of school-sponsored sport during the school year or plays on a recreational league year-round, his or her mouth may be at risk of injury if the proper precautions are not taken. In a previous blog, we reviewed a few common dental emergencies such as broken teeth, dental intrusion, and tooth displacement. If your child plays sports that involve contact with other players or fast-moving equipment, such as soccer, baseball, basketball, volleyball, or football, you can protect his or her teeth with a mouthguard to prevent an unfortunate oral injury. Are you looking for a fun and affordable dentist in Seguin that you can partner with to help your child achieve the best oral health possible? The Gator Crew at Alligator Dental is here for you! Schedule your child’s appointment today! Another great way to ensure that your child has a healthy smile for the New Year is to help him or her avoid drinking sugary beverages when possible. Our mouths have naturally occurring bacteria, and when sugar is added to the mix, acids are created. These acids can slowly eat away at the hard enamel surface of your child’s teeth, leading to decay and other troublesome conditions. Additionally, sugary drinks like soda, juice, and some sports drinks can cause a buildup of bacteria, also known as plaque, on your child’s teeth and along the gumline, increasing the odds of cavities and gum disease. In addition to regular flossing and brushing, protecting your child’s teeth with a mouthguard, and choosing healthy foods and beverages, regular teeth cleanings will be the cornerstone of your child’s oral health in the New Year. When performed every six months by a trusted pediatric dentist who has the right tools and a fun office environment, dental cleanings help your child maintain a healthy set of teeth and gums and can help ward off any type of dental concerns early before they become problematic. Additionally, positive experiences with a pediatric dentist early on is one of the best ways to combat dental anxiety in children. Searching for an affordable pediatric dentist in Seguin? Look no further than Alligator Dental. We make going to the dentist fun for your child, and we’d love to be your partner in providing your child with his or her brightest, healthiest smile. Contact our team at 830-372-3725 today to get started!